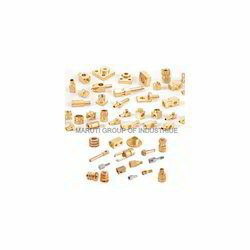 Offering you a complete choice of products which include brass precision turned components. We are a trusted name in manufacturing, supplying and exporting Brass Precision Turned Components. All these components are manufactured using high quality material that is sourced from vendors of high repute after scouring the market. In addition to this, we customize these components as per the requirements of clients. Looking for Brass Precision Turned Components ?